hard to teach it to children at times? I think because power struggles and egos take center stage and respect gets hidden behind the curtain. We know that children learn to behave in a way that is modeled before them. Therefore, it's important that we adults, set a proper example. Showing respectful behavior to other adults is important. Showing respect to children is just as important. Sometimes, despite our good efforts to model respect, children simply act in a way that is not respectful. It's possible this has to do with testing the limits, personality, and environment. Whatever the case, it sure does feel frustrating when a child is disrespectful! On the flip side, it's refreshing and wonderful when a child shows respect. So how do you teach respect to children? Model Respect. Children learn by example, so model, model, model. Discuss Respect. It may seem obvious what respect is to an adult, but may not be as clear to a child. Define and explain what respect means. Ask questions. Teach Manners. Teaching basic manners to children provides opportunities for children to practice compassion and develop empathy for others. Respect Someone. Ask a child who they respect and ask them why they respect that person. 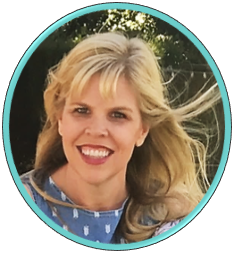 Brainstorm ways to show respect to that person, and take action. Some ideas include: Write a letter to that person, help that person in some way, do a kind act for that person, tell that person why they are respected, do a chore for that person, etc. Respect the Environment. Brainstorm ways to respect the environment, and take action. Some ideas include: Visit a recycling facility and practice recycling, plant a garden, clean up a park, use less water, and save energy, etc. Discuss Disrespect. Explain and define it. Ask a child to think of a time they have been disrespected. How did it make them feel? Ask if they have ever disrespected someone. What happened? Discuss the importance of forgiveness. Role play ways to handle disrespect and brainstorm ways to apologize. Teaching respect should be interesting, meaningful, and engaging. 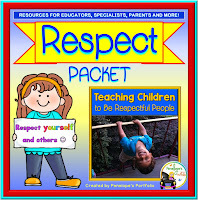 Therefore in addition to the suggestions listed above, I have prepared a Respect Packet that may be used by teachers, school counselors, parents, SPED teachers, speech therapists, social workers, and other specialists when teaching respect to children. What is your favorite way to receive respect? I'm glad to see you're doing character education in your classroom. So many students grow up as well-educated adults (academically), but lack the social skills to appropriately apply their knowledge in a community setting. Being respectful of others and socially aware opens doors for those who wish to share their "smarts". I couldn't agree with you more! Being respectful and socially aware is such a powerful tool and experience. It really does open doors, encourage self growth and foster good relationships. It's so important that we teach children to be respectful. Respect isn't something kids are born knowing. Good points Yanique. Agreed, and thanks for stopping by! I feel like we are doing more and more of this in the classroom. It's important! I believe this is seen more in the classroom as well. It is so important and necessary to teach this in the classroom. Thanks for stopping by! It's these sorts of character components that give students a strong foundation for engaging with the world and others, and enable them to have success in school and beyond. Thanks for the post! Well said Coach Christopher, and I couldn't agree more! Thanks for stopping by! Sometimes I get the feeling that people think that respect and kindness are supposed to just come naturally to children, but they don't. Just like we teach them ABCs and 123s, we also need to teach them how to cherish and respect all those around them. Personally, I think that modelling is the most important aspect of teaching social skills to children. Thank you for an excellent post. Modeling (respect and other traits) is so important in life. Children are always watching and learning from adults and other people in their lives. Thank you for your comment and for stopping by! I like your respect packet! Thanks for sharing! I'm glad you like my packet. Thank you for stopping by! Thank you for so many wonderful ideas for teaching this concept! I enjoyed coming up with these ideas and many others in my packet. Thank you for stopping by! 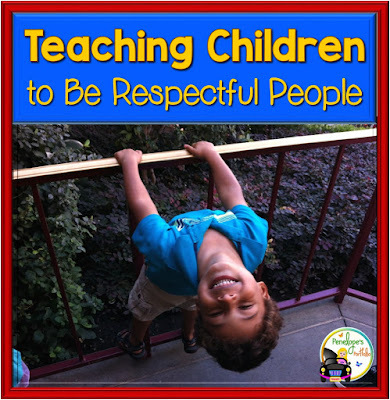 Respect is so important, and I love your ideas for teaching it to children. I agree that respect is very important. Thank you for your comment and for stopping by! I love that you not only teach and model respect but you also speak of disrespect So important for kids to know what something "looks" like and what it does not look like. Character education is so important. It's very important to discuss disrespect, and the impact of it, when teaching respect. When children understand the power of their words and actions, they make better decisions. Thank you for your comment and for stopping by!